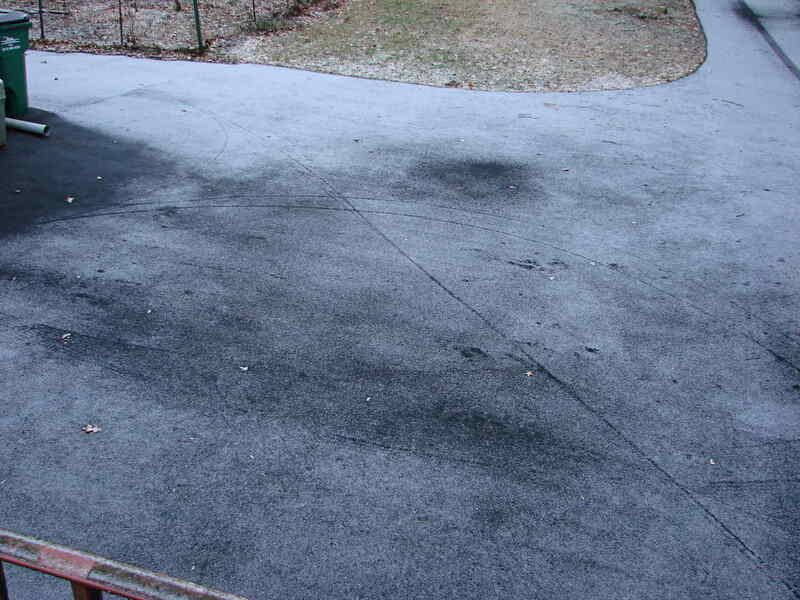 We’d gone for a ride two days earlier and, apparently, our tires deposited enough salt dust (?) on the driveway as we rolled them out of the garage to melt the light snowfall. I’m not sure I can believe that, as those same tires left no trace of our return from that same trip, when I’d expect them to carry more dust. 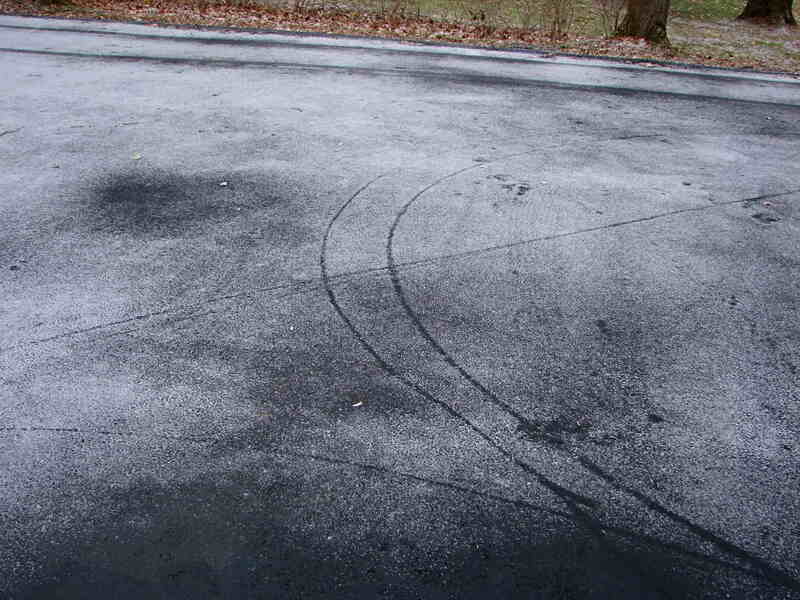 If it’s a thermal effect, it was produced by one brief contact with tires kept in an unheated garage and rolled over an asphalt driveway, after exposure to ambient conditions for two days.